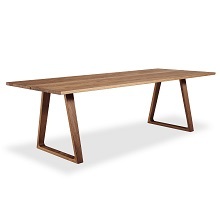 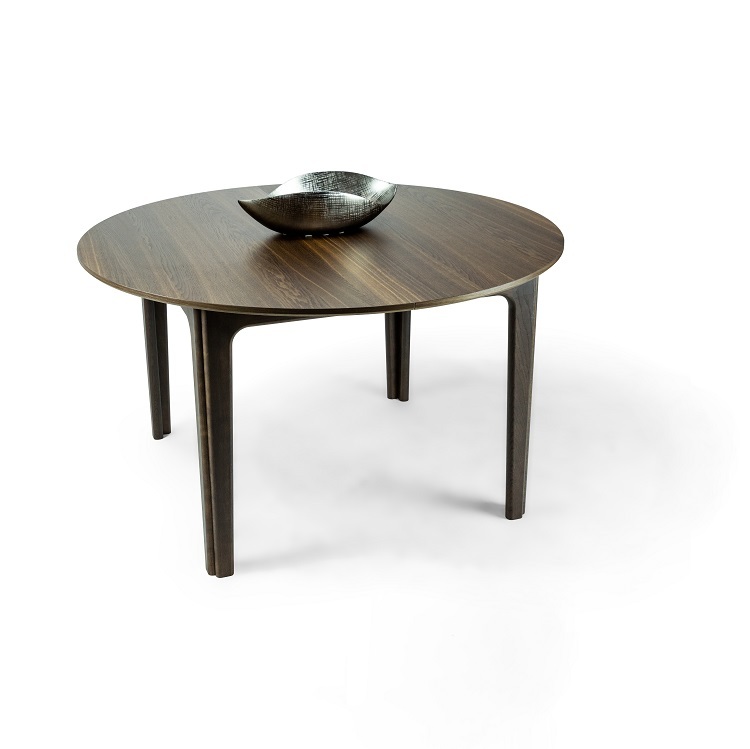 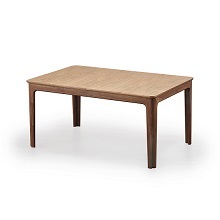 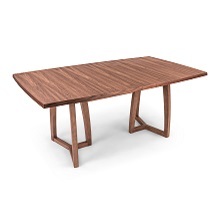 The Annika dining table by Skovby of Denmark has rich smoked oak lacquer and clean, classic lines. 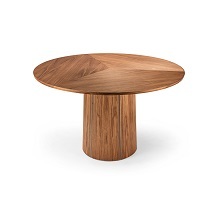 Annika is both beautiful and functional, with two leaves that expand the table from 51'' round to 90.6''. 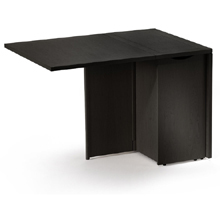 Discrete supporting legs ensure the stability and strength of the design.